In our last Beta Roundup, I lamented the challenges of keeping up with new releases, and the last week has proven just how true that can be. Not only have the XBMC and OpenELEC teams been busy this week, so have the MediaPortal and Xbian teams. XBMC 12 “Frodo” is coming periously close to a full release with the introduction of Release Candidate 1. As a release candidate, XBMC 12 RC1 is feature complete, so anyone holding off on a download in hopes of seeing everything that XBMC 12 will have to offer, now is the time jump in. There are still bugs to work out, but the forums are open to help and the XBMC team is taking tickets on Trac. At this point, XBMC 12 is entirely feature complete. All changes from this point forward will exclusively include fixes for replicable bugs necessary to reach final release. Of course, no XBMC project would be complete with a Live version. As with the XBMC 11 beta cycle, the Live release has been running a bit under the radar compared to the mainline, but that changed with the release of XBMC Live 9.04 “Babylon” RC1. With native MCE remote support and duduke’s usplash theme for seamless visual startups, the next version of XBMC Live is looking quite nice. Finally, the XBMC repositories sources are already configured and topfs2’s cool script “Aptitude” is included, so updating XBMC to follow the new releases will hopefully be easy! Continuing their lockstep development cycle with XBMC, the OpenELEC team dropped Beta 5 of OpenELEC 3.0. The OpenELEC team may not be ready to declare release candidate status, but given their rapid progression, it probably isn’t far off. This Beta updates XBMC to XBMC Frodo Release Candidate 1, and fixes some issues found in our Beta 4 release like the issue where all our Addons are marked as “broken”. 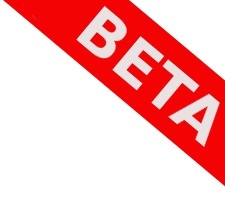 The big new beta release of the week came courtesy of the MediaPortal team. MediaPortal 1.3.0 Beta is now available. MediaPortal 1.3.0 Beta brings new preloaded skins, including the highly anticipated Titan skin, preliminary Windows 8 support, and a greatly improved “Settings” section that allows users to change most of the client settings from within the MediaPortal 10ft interface. Unfortunately, this capablility does not extend to the TV Server settings, but there is alway 1.4.0 to look forward to. Just in time for the holidays, we release theBeta Versionof our new major release,MediaPortal 1.3.0! Our last beta for this week’s roundup is a bit off the beaten path. Xbian, one of the larger XBMC for Raspberry Pi projects, is getting a new website, and the Xbian team is inviting users to beta test the new site. The new site represents a significant overhaul, so if you have a few minutes, head over and click around and let the Xbian team know if something doesn’t work.